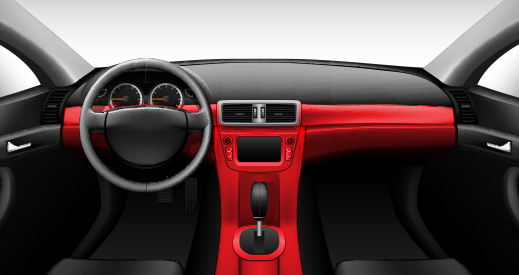 Wrapping the interior trim pieces to an OEM quality finish is a great way to personalize the interior of your car. At Ultimate Car Wraps, we prefer to use the 3M range of self-adhesive wrap vinyls throughout this process, as it is a very high quality product and when wrapped beyond the visible edges yields a perfect and durable finish. This method of installation requires the removal of the components to be wrapped and this is the only way to achieve a professional finished result. The 3M carbon fiber vinyl is extremely popular for interior trim wraps, however other finishes including brushed metal are also quite popular. Sometimes a customer might like to add some colour inside the vehicle and wrapping some of the interior trim is a great way to colour code the interior to match the outside of the vehicle. This form of car customization allows you to enhance your ride whilst still being able to revert it back to the factory spec later by simply removing the vinyl.